Brent Roberts has been associated with Brookwood since 2011. 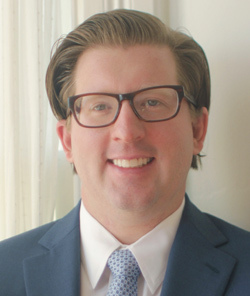 Based in Baltimore, Brent was an early and integral member of the Brookwood/Teichos Team, providing financial modeling expertise in connection with the Team’s projects in Seattle and Denver. Since that time, he has continued as a frequent advisor and consultant with Brookwood for a broad range of project development and investment activities, particularly including comprehensive project feasibility analyses. Brent brings extensive experience in public/private partnerships with a specific focus on mixed-use, transit-oriented development. He has a multi-disciplinary background having led teams in property management, accounting, finance and sales for more than $5 billion worth of real estate development projects encompassing over 10 million square feet of mixed-use space. Most recently Brent has been working on the redevelopment of State Center, a 28 acre underutilized site in West Baltimore that has the most accessible mass transit network in the city and contains the largest concentration of state employees in Maryland. The project leverages the state’s office presence into $1.5 billion dollars of private investment, including 250,000 square feet of neighborhood retail, a new grocery store and 2,000 mixed-income residential units. Prior to that Brent was involved in two of the largest public/private projects in Washington, DC including the redevelopment of a mile-long stretch along the Potomac River in Southwest, DC and the redevelopment of a 25-acre decommissioned water treatment site built as part of the historic McMillan Reservoir Park in Northwest, DC. Earlier in his career, he held senior finance roles at Struever Bros. Eccles & Rouse, a nationally-acclaimed development company focused on adaptive reuse of historic properties. Brent's responsibilities included the completion of development and financing for the $100 million rehab of the historic Clipper Mill Industrial Park into artisan studios, offices, and a mix of residential uses that has sparked a renaissance of Baltimore's Jones Falls Valley. He also led pre-development financing for Harbor Point, a 27 acres brownfield site that is transforming a former manufacturing plant into a vibrant mixed-use development of over 3 million square feet on Baltimore's historic inner harbor. Brent began his career in Washington, DC as a public accountant. He holds a Masters of Real Estate Development degree as well as a undergraduate degrees in accounting and finance from the University of Maryland, College Park.